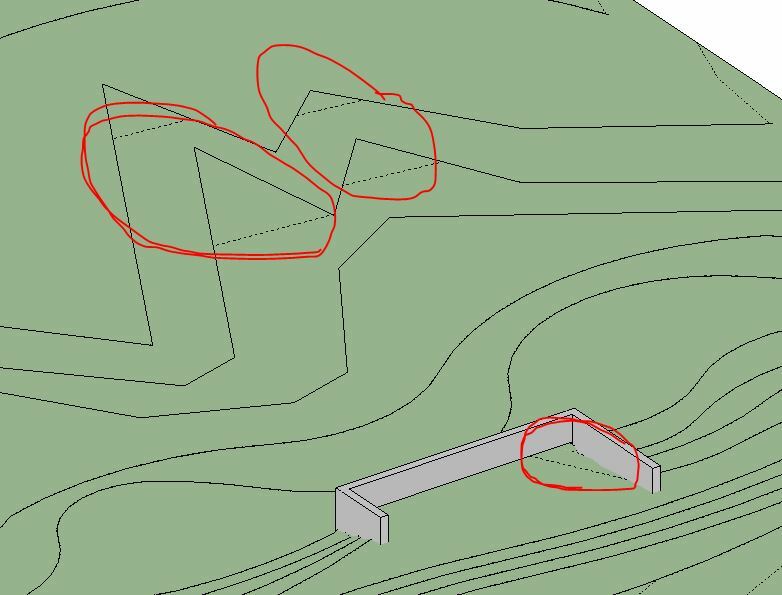 From Harry Mattison over at Boost Your BIM, comes one of the most useful add-ins for the landscape architect in Revit: Topo From Lines. You can download it for free on the Autodesk exchange. I also made a retaining wall (to see how the topo would behave around it) and created some areas where I know Revit usually stumbles with topography (note the sharp angles). That is a lot of points. But after a simplification at .25′ it still looks good. Allows you to create topography just in Revit- not dependent on separate CAD file. 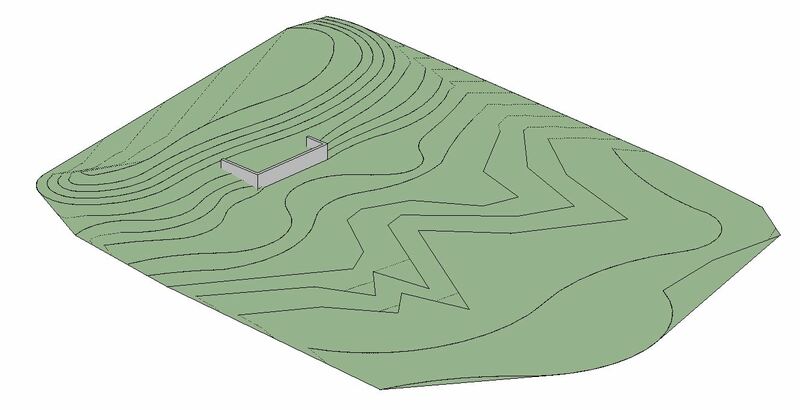 Better control over topography than with imported CAD contour lines or TINN. This issue is hard-wired into how topography generates, and can be tweaked by editing the Topo and placing points. It always creates a new surface; it does not work with existing ones. This implies a workflow where you draw out existing contour lines so you have all of the lines when generating a new surface. I would like to see these features integrated into out-of-the-box Revit interface. Topography has waited long enough for new and better features.